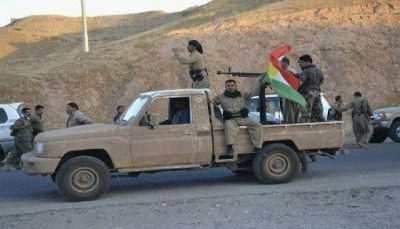 After Yesterday’s unanimous vote on not allowing Kurdistan’s separation by the Iraqi parliament, forces of the so-called Peshmerga militias (armed forces of the Iraqi Kurdistan’s ruling Barazani regime) suddenly started to spread in the areas of of Kirkuk, Daquq and Tuz Khurmatu. On Tuesday, the Iraqi parliament voted to reject the referendum in the Kurdistan region, with the Prime Minister Haider Al Abadi committing himself to take all necessary measures that would preserve the unity of the country’s territory. A number of countries, particularly the United States, Turkey and Iran, condemned the decision of the Kurdistan Regional Authorities to hold the referendum, with Ankara even calling on Tehran to do its best to abandon this initiative, as it may lead to an increase of tensions in the already troubled region.